I was asked to give a J. Thomas Ungerleider lecture on Substance Abuse Prevention and Education on May 27, 2003 at the UCLA Neuropsychiatric Institute Grand Rounds. The title of my presentation was, "Addiction as a Brain Disease: What a Long Strange Trip It Has Been." I was honored to give this presentation on behalf of my good friend and esteemed colleague, Tom Ungerleider. Tom, currently a Professor Emeritus at the UCLA Department of Psychiatry, has been a pioneer in substance abuse education for health professionals and medicalization in the problem of addiction. In addition to his important work in drug prevention Tom has emphasized the importance of having evidencebased approaches in clinical practice in the addiction area and has consistently warned of the dangers of ideologically backed approaches that are not based on science, but instead based on political agendas. In particular he has focused on the developing prison industrial complex that currently produces over 700,000 arrests per year for possession of marijuana. This has lead to a situation in which 80% of the prisoners in the criminal justice system have substance abuse problems, but only 5% get treatment for addiction. For the same drug offense, lower social economic non-whites have a ten times higher probability of getting a felony conviction than do the white middle class offenders. Since one dollar in treatment saves seven dollars in health and social costs, the current prison and drug policy can be seen as both racist and cost inefficient. As a result of the political ideology and the prison industrial complex, criminalization has become the dominant mode of intervention. Criminalization has wasted a great deal of money and has harmed many more lives then it has helped. Addiction medicine is based on the study and treatment of addictive diseases. The paradigm of medicalization for all addicting substances isn't the same as a model of legalization for making drugs available to our society. Tom has been a pioneer in emphasizing medicalization. The destructive direction of current U.S. drug policy has proved to be both inefficient, wasting hundreds of millions of dollars, and is inhumane, incarcerating instead of treating a large number of people with the problem of addiction. The concept of medicalization has been incorporated in the citizen's protest against current drug policy in California via Proposition 36. I was introduced by Lew Yablonsky, a world famous sociologist, whose books have made major contributions to understanding of the drug culture. The first book I read of his was, Synanon - the Tunnel Back, and I met Lew in June of 1967. This was soon after I started the Haight Ashbury Free Clinics and he was doing a book titled the, Hippy Trip. He interviewed me relative to his book with particular emphasis on the psychedelic drug experience. At that time the Haight Ashbury Free Clinics was dealing with acute medical problems associated with people coming to the Summer of Love. We had a talk-down center for bad LSD trips. Interestingly enough, the talk-down procedure can still be seen today at Rock Medicine. Rock Medicine provides all the medical services for rock concerts in the San Francisco Bay Area. Around this time I met Tom Ungerleider for the first time. The beginnings of the Summer of Love revolved around psychedelic idealism, dominated by the "turn on, tune in, and drop out" philosophy of Timothy Leary, Richard Alpert, Alan Ginsburg, Ken Kesey's "Electric Kool-Aid Acid Test," and the Grateful Dead, led by Jerry Garcia. Many of the San Francisco rock bands did benefits for the Haight Ashbury Free Clinics including Big Brother and the Holding Company with Janis Joplin, the Grateful Dead, and the Jefferson Airplane, which was headed by Grace Slick (now in AA). Unfortunately the dream became a nightmare and we saw the methamphetamine epidemic. Our clinic coined the term "Speed Kills" in 1968 and we used media including posters and a film on amphetamine abuse in an attempt to intervene in the epidemic that had turned the Haight Ashbury into a scene of violence. Also attending this lecture was my colleague Dr. Walter Ling, who I started working with in addiction research. Around 1968, while I was at San Francisco General Hospital, I developed a phenobarbital substitution and withdrawal technique with Dr. Donald Wesson, leading to thirty years of bad Smith & Wesson jokes. Don Wesson and I have worked closely with Walter Ling ever since, including developing medicational approaches revolving around buprenorphine, a partial agonist for the treatment of opiate addiction. The phenobarbital withdrawal technique set the stage for setting up our outpatient detox facility in 1969, since the drug is a long acting, low abuse potential drug which lent itself to outpatient detox as we started seeing the downer cycle of the upper downer cycle hit. That outpatient detox facility is still operative today at the Haight Ashbury Free Clinics in the form of our substance abuse treatment service programs. Initially, detox was supported by a benefit by Creedence Clearwater that was organized by the patron saint of the Haight Ashbury Free Clinics, Bill Graham. He is the one, through his Fillmore Auditorium, who organized most of the benefits for our clinic during the period of the 60's. Some were also done by enterprising physicians, such as Dr. David Breithaupt, who developed Dr. Sunday's Medicine Show with lead singer Janis Joplin. The decade of the sixties ended and the heroin epidemic exploded, hitting the middle class and complicated by returning Vietnam Vets exposed to potent smokeable heroin in Vietnam. The outpatient detox facility, started by myself, was the only service that was available outside of the methadone maintance programs at county hospitals. We started seeing a large number of Vietnam Vets coming back strung out on heroin. As a result of the vets coming to our clinic, a dramatic change in public attitude towards addiction occurred. People took the view that we couldn't put our troops in jail for being strung out in a foreign unpopular war. We started seeing financial support for our clinic coming from public sources. This was also the beginnings of the development of the California Society of Addiction Medicine. I received a call from Dr. Jeff Bromley, one of the founding fathers of CSAM, who indicated that in Southern California they had just arrested a doctor for detoxing a heroin addict on Valium. It turns out that under the Harrison Narcotic Act it was illegal for a doctor in his medical treatment program to use narcotics for detoxification. This became interpreted as being illegal to use scheduled drugs in the treatment of narcotic addiction outside of government regulated methadone clinics, putting community based addiction medicine doctors at risk for arrest. 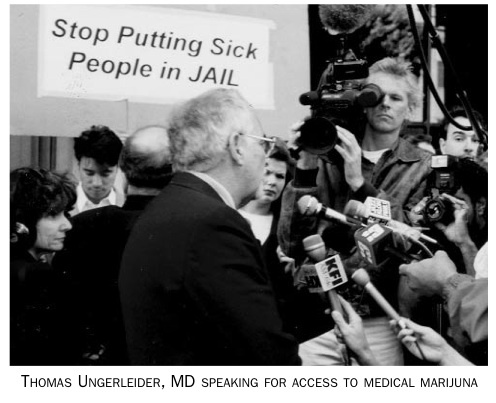 Again, Tom Ungerleider was a key part of a new policy shift with his appointment to the National Commission on Marijuana and Drug Abuse. He emphasized the need for a policy shift towards demand reduction. That commission was appointed by President Nixon with a goal towards crime reduction that involved a policy that no addict should have to commit a crime because he can't get treatment. The decade of the 70s was the finest hour in drug policy. The Special Action Office on Drug Abuse Prevention headed by Dr. Jerome Jaffe was formed. A career teacher program was established, which brought addiction treatment education to medical schools throughout the country, including bringing important CSAM members such as Dr. John Chappel at the University of Nevada. The VA substance abuse fellowship, directed by Dr. Peter Banys, produced noteworthy CSAM graduates. The Center for Substance Abuse Treatment, with Dr. Wesley Clark as its head came into being. Our knowledge of addiction as a brain disease has increased dramatically. I look with interest and nostalgia on those early dramatic shifts in public policy, in light of the current policy conflicts. It has indeed been a long strange trip, but one that I have shared with my dear friend and esteemed colleague, Tom Ungerleider, and his wonderful wife Dorothy Ungerleider. References: 1. 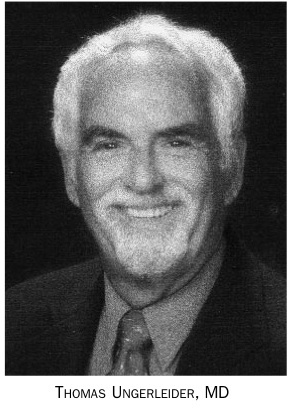 David E. Smith, M.D. & Alan J. Rose. The Group Marriage Commune: A Case Study. Journal of Psychedelic Drugs, Vol.3 (No.1)-September, 1970.